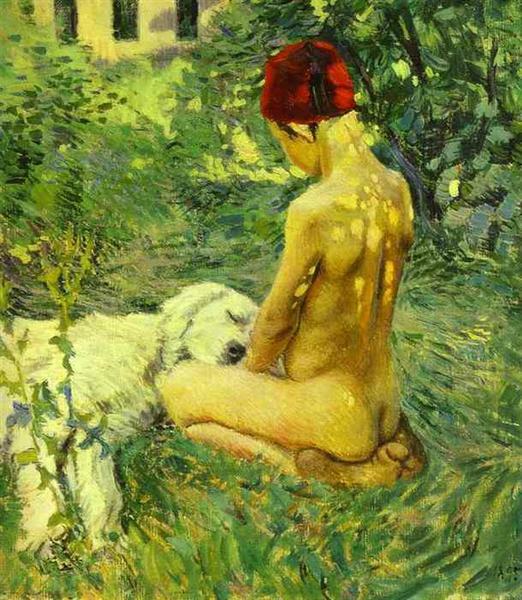 Victor Borisov-Musatov was a 19th Century Russian painter known for his unique style that mixed symbolism, realism, and post-impressionism. I like this painting because the scene is so ordinary. It is a very boy thing to do.